QUETTA: At least 21 people were killed and 50 others injured in a suicide bombing at a crowded market in Pakistan's restive Balochistan province on Friday, in an attack believed to be targeting the Shiite Hazara ethnic minority community. Prime Minister Imran Khan condemned the attack and ordered an inquiry. He also described the blast as a suicide attack. Officials said that 21 people have been killed and 50 others injured in the blast. An Edhi welfare trust rescue official at the scene of the blast said he had counted around 21 bodies being taken to hospitals. At least eight of those killed in the bomb blast are from the Hazara community, Cheema said. Buildings located nearby were also damaged in the blast, police said. No group has claimed responsibility for the attack. Cheema said that due to the blast, security has been provided to shopkeepers and traders at the market. Hazaras make up a significant minority group in Pakistan and most of them live in Quetta. 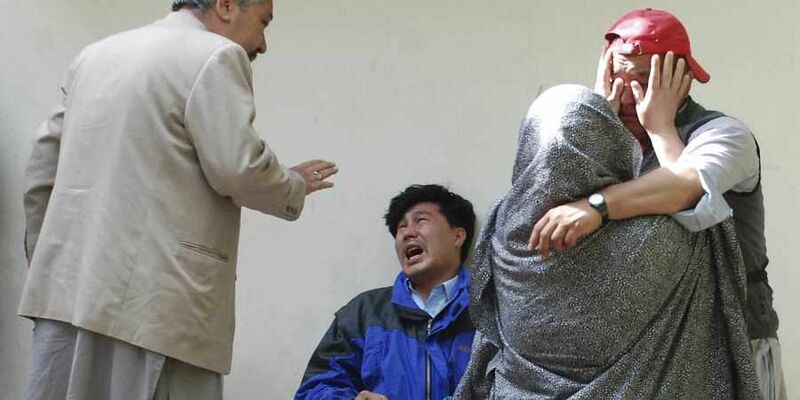 This is not the first time that the Hazara community has been targeted by militants in the province. Qadir Nayil, a Hazara community leader, asked the government to ensure better protection. "Once again our people were the target and once again we will have to bury our dear ones," he said. There have been similar terror attacks in the Hazarganj area of Quetta in the past. The market serves as a wholesale market for fruits and vegetables.